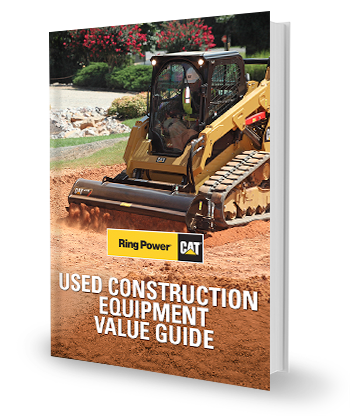 In an effort to provide customers with more value for their investment, Ring Power has introduced Cat Certified Used Equipment. Cat Certified Used construction machines are low-hour, fully serviced heavy machinery, brought up to date and required to pass a rigorous inspection process. By fully inspecting and servicing lightly used Cat construction machines to a good-as-new state, our customers get the performance and reliability they need backed by Ring Power's service and parts departments. With a strong Cat warranty, Certified Used machines provide remarkable value and dependability. The 11 students make up the class of 2018, and are the largest group ever to enter the program through Ring Power. Over the next two years, they will rotate in eight-week intervals between classroom instruction at South Georgia Technical College and hands-on training at Ring Power. In addition to the heavy equipment technician track, a generator technician track is now available. Ring Power worked closely with Caterpillar to develop the curriculum for the new track — the first power systems ThinkBIG program in the world. 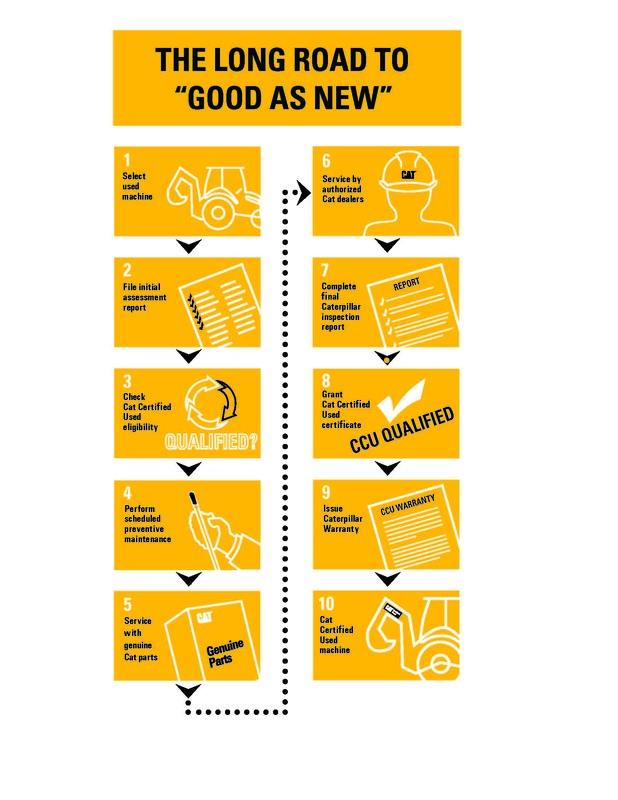 ThinkBIG is a technician scholarship program offered by Ring Power and five other Southeast Cat dealers in partnership with Caterpillar and South Georgia Technical College in Americus, Ga. In March, Ring Power delivered two Cat 725C articulated trucks and two hydraulic excavators — a 349FL and a 336EL — to customer Herve Cody. 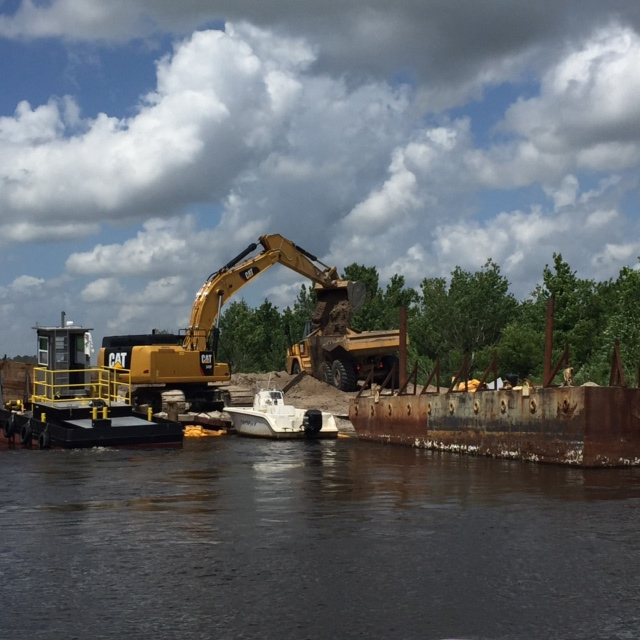 These machines are currently in use on the largest river restoration project in the world! The Kissimmee River Restoration (KRR) will be done in four construction phases and will restore flow and function to the beautiful, meandering river that became stagnant and lifeless after a government-authorized “channelization” project started in 1960 turned it into a 56-mile-long canal. South Florida Water Management District (SFWMD) scientists are already finding that the flora and fauna that had disappeared are making a comeback and report that scientific data indicate that the restoration is meeting or exceeding their expectations. David Alban has been named Chief Operating Officer & Corporate Secretary for Ring Power Corporation. The move was effective December 3. In this role, Alban will oversee all of Ring Power’s equipment divisions’ sales and product support operations, as well as Phoenix Products, Human Resources, Training, Purchasing, Facilities and Security. Prior to this appointment, Alban was Executive Vice President & Corporate Secretary, with responsibility for Heavy Equipment Product Support, Power Systems Division Product Support, Phoenix Products, Human Resources and Training, Purchasing, Facilities and Security. Alban’s career with Ring Power dates back to 2001 in the Sales Training program, where he spent time working in the service shops, learning firsthand what happens day-to-day. He also worked in the Heavy Equipment Rental department and was promoted to manager of the newly launched Agricultural Equipment division in 2003. In 2004, when Ring Power’s Six Sigma initiative began, Alban was selected to be a Black Belt project leader. In 2008, he was named Vice President of Lift Trucks. The next year, Alban was promoted to Vice President & Corporate Secretary, with responsibility for Power Systems Product Support. In 2010, he added Heavy Equipment Product Support, Training & Safety to his responsibilities. 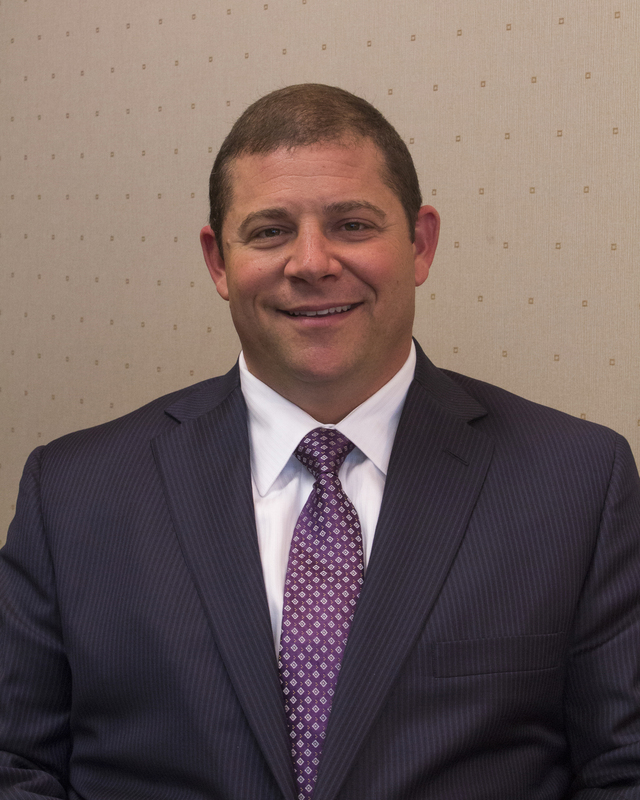 In 2013, Alban was named Executive Vice President & Corporate Secretary, overseeing Power Systems and Heavy Equipment Product Support, Training & Safety. The following year he added Purchasing, Facilities, Security and Phoenix Products to his responsibilities. In his new role, Alban will continue to report directly to Chairman and President, Randy Ringhaver. DOUBLE THE WARRANTY. DOUBLE THE CONFIDENCE. Last month, the warranty for most Cat heavy construction machine parts doubled to a full year—from 6 months to 12 months. The overriding goal for the increase in warranty period is to encourage you to extend the lifecycle value of your equipment by using genuine Cat parts, because of the quality and reliability manufactured into every part. This longer, stronger warranty term also reflects Caterpillar’s absolute confidence in the proven reliability of Cat parts. 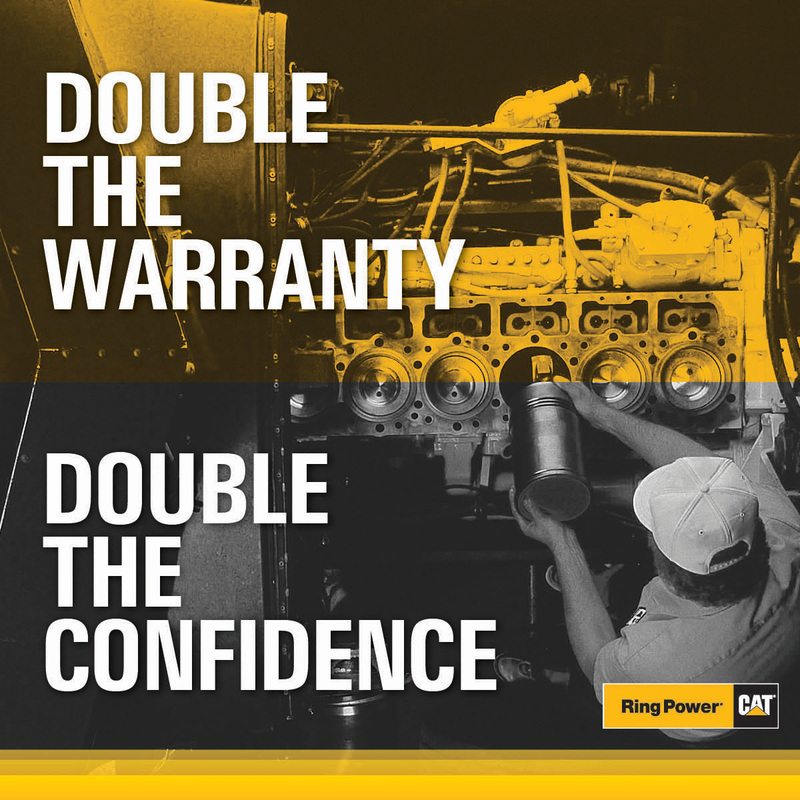 As the owner of Cat equipment, we think the new 12-month warranty period will reinforce your confidence in Cat parts, too. We also think you’ll find using or insisting repair shops use Cat parts for all your machine repairs is a smart business decision. That’s because Caterpillar engineers design our parts to keep your Cat machines up and running at peak performance. WHY CAT PARTS FOR CAT MACHINES? 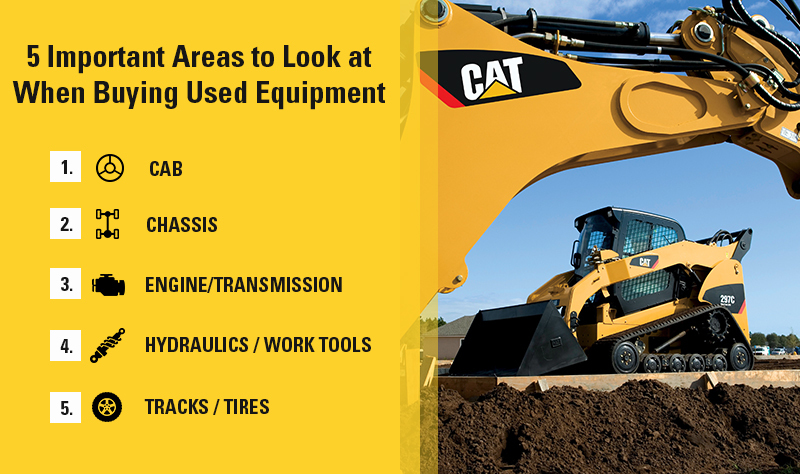 For starters, the longer Cat machine parts warranty is backed by Caterpillar and supported by Ring Power. Q. When does this new, longer warranty term for Cat parts go into effect? 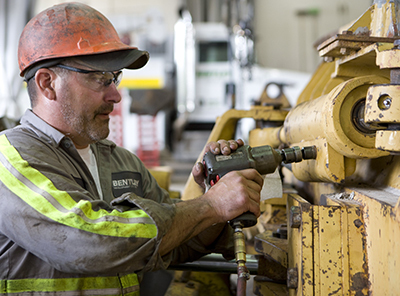 The 12-month warranty applies to Cat parts purchased on or after July 1, 2015. Q. What Cat parts specifically increase in warranty from 6 months to 12 months? All of the parts previously covered by Caterpillar’s 6-month Standard Parts Warranty will now feature a 12-month warranty. For more specific information, review the new full warranty statement. Q. 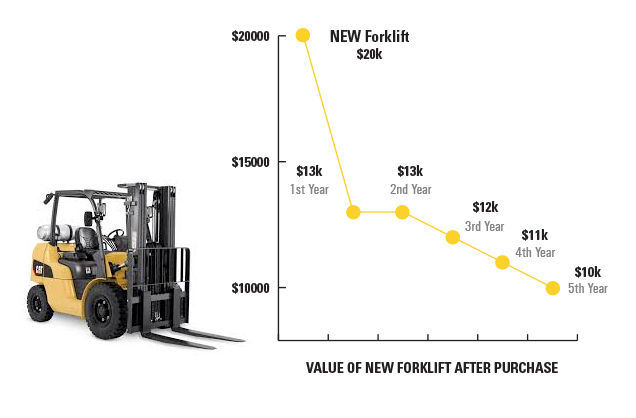 When Caterpillar increased the parts warranty to a full year, did you raise the price of parts too? No. Caterpillar has no hidden conditions on our parts. When you buy an original Cat part for your machine, you now get a full-year parts warranty under the same conditions as our previous six-months warranty. To contact Ring Power with questions related to the new Cat heavy machine parts warranty, click here. Since 1996, a “tiered” series of emissions regulations has been in effect, establishing progressively stringent standards for allowable levels of oxides of nitrogen (NOx) and particulate matter (PM) released into the environment by new off-road and non-road diesel engines and equipment. Essentially, Tier 0 engines are unregulated and most often mechanically rather than electronically controlled; Tier 1, Tier 2, and Tier 3 engines include technologies that have become increasingly sophisticated with each successive generation, using electronic engine controls, higher injection pressures and turbocharging systems to meet the emissions standards at each level. 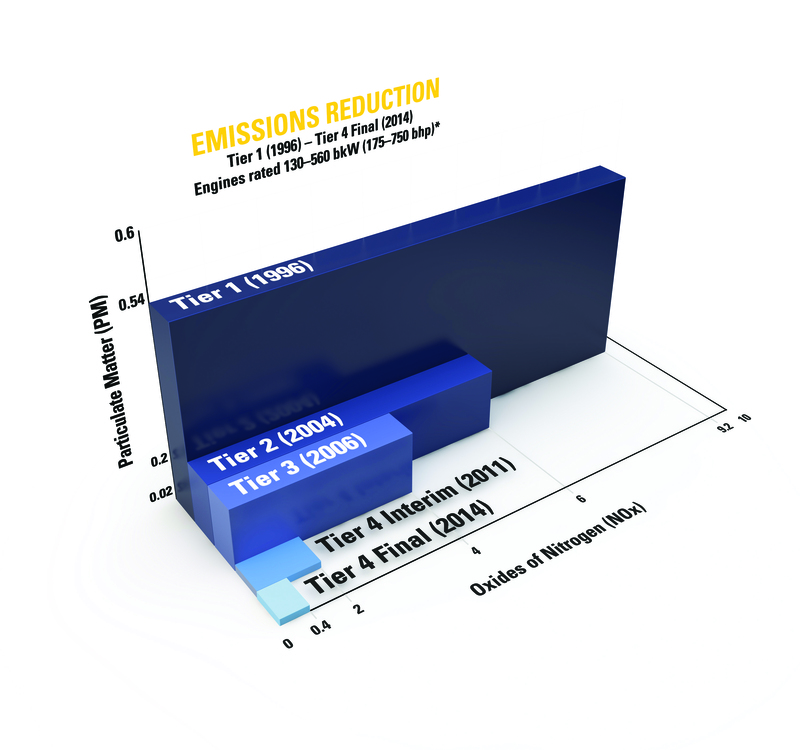 The Tier 4 standards currently in force were actually initiated in 2008, with a goal of reducing PM and NOx emissions to a level 50-96 percent lower than the existing generation of diesel engines by 2015. 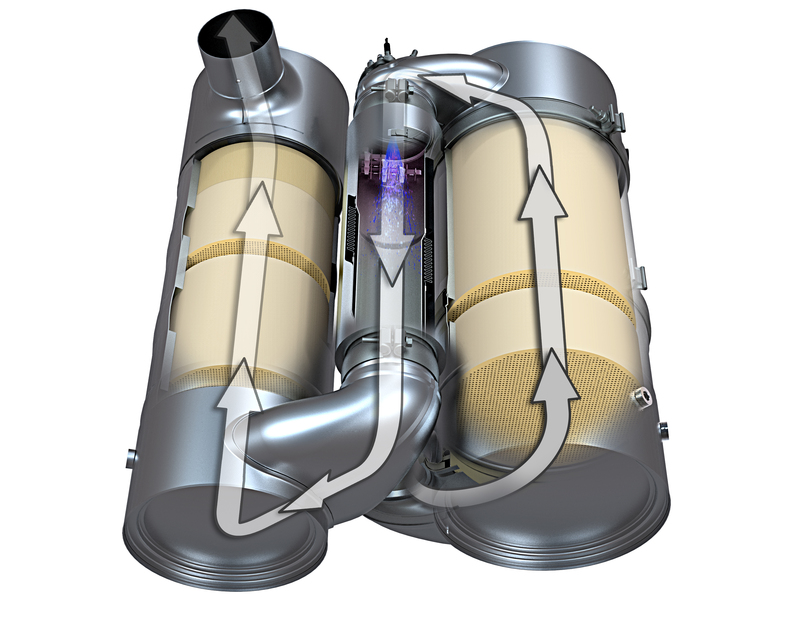 A transitional step – Tier 4 Interim – was introduced in 2011, which required substantial reduction in PM while allowing for flexibility in lowering NOx. Tier 4 Final, which went into effect earlier this year, has tightened the standards for further reductions in NOx and hydrocarbon (HC) emissions. 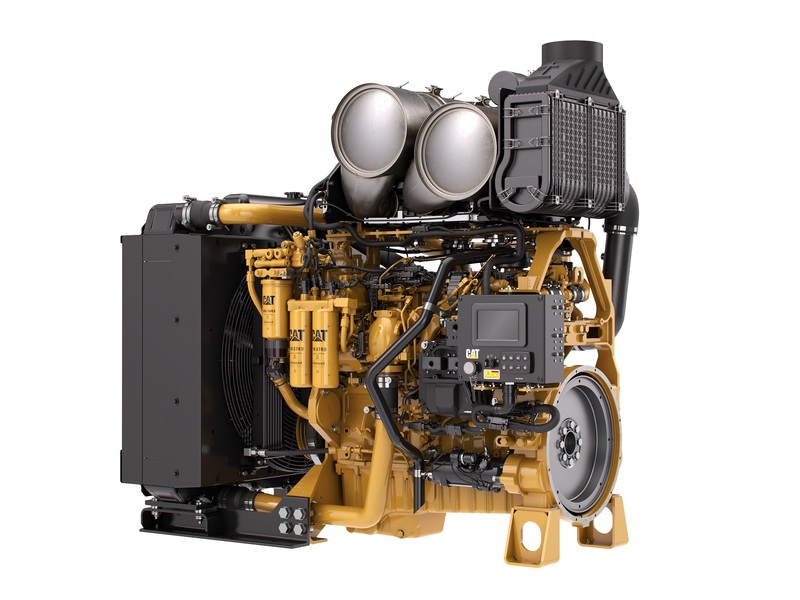 To meet current emissions standards, Caterpillar and many other manufacturers have incorporated selective catalytic reduction (SCR) technology into their engine and equipment design. As a result, Cat dealers have had to learn how to service and maintain the innovative new systems and componentry that comprise this new technology. For example, open crankcase ventilation filters (OCVs) need to be serviced or replaced periodically and diesel particulate filters (DPFs) need to be cleaned at regular intervals by a qualified technician. You may also find that belts, hoses, radiators and alternators require more frequent inspection due to the higher temperatures and operating pressures. In addition, Tier 4 engines require ultra-low sulfur diesel fuel (ULSD) and CJ-4 low ash oil for a cleaner burn. Engines and equipment outfitted with SCR technology have a separate, on-board storage tank to hold the diesel exhaust fluid (DEF) used in after-treatment, which in turn requires special handling – and special mention here. Tier 4 equipment owners need to understand the importance of working only with reliable vendors when purchasing DEF; and of storing their own supply in a cool, dry, well-ventilated area, out of direct sunlight. Manufactured to strict standards, DEF is a carefully blended solution of 32.5 percent high purity urea and 67.5 percent deionized water. Because temperature and time inevitably alter its concentration, DEF storage containers must be clearly dated. Contamination also affects concentration, which means storage containers must be clean and used exclusively for DEF. By and large, meeting Tier 4 Final emissions standards is the responsibility of the engine manufacturers and equipment dealers. When the time comes to purchase new equipment, all you need to know is that your equipment dealer is prepared to provide the new maintenance practices required by the new components and technologies that come standard on Tier 4 Final engines. Until then, you need not worry about Tier 4 Final at all. Tier 4 emissions requirements apply to new products only – not retroactively to any existing equipment – and at present there is no federal requirement to upgrade any existing engine to meet the new standards. Furthermore, Ring Power will be able to sell Tier 3 engines and equipment until the inventory is depleted and to service all previous generations indefinitely. However, if your work involves bidding on governmental or public sector contracts, owning Tier 4 machines may give you a competitive edge. In that case, Ring Power has the inventory and expertise to assist you before, during and after your purchase – including Tier 4 classes for owners and operators – to help ensure you get the improved fuel efficiency, power and performance promised by the new emissions reduction technology. Ring Power’s staff of training instructors and technical communicators have attended all of the Tier 4 training programs required by Caterpillar and are well prepared, not only to perform troubleshooting, maintenance and repair on Tier 4 Final engines, but also to instruct and train the service technician team. 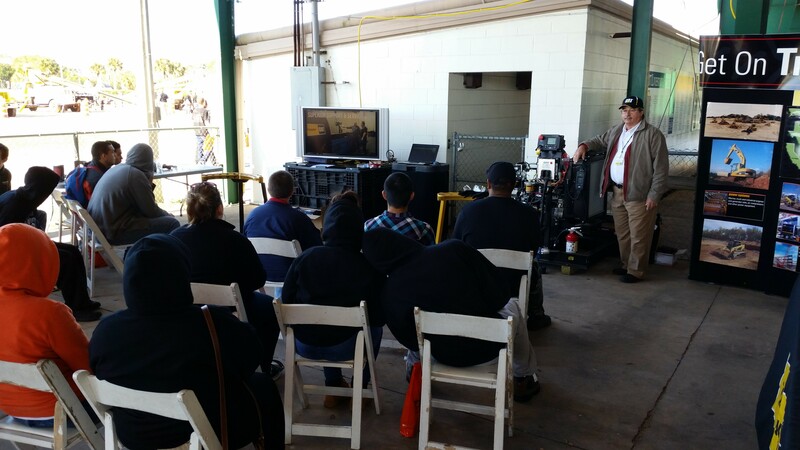 Ring Power’s training department offers rigorous, ongoing Tier 4 Final training to bring service technicians up to speed with respect to the new, lower-emissions technology across all Ring Power equipment divisions. Any new machine – not just Cat, but any type, make or model of construction equipment, generator, air compressor, crane or forklift – that has a compression ignition diesel engine must now comply with Tier 4 Final regulations. To that end, Ring Power also requires all service technicians to enroll in the online curricula and hands-on training offered by their respective manufacturers. Although it sometimes seems a bitter pill to swallow, we need to remember that stricter emissions regulations were not imposed to punish companies that do off-road work or suppliers of off-road equipment. Every on-road vehicle has had to conform and comply, too. And, in the end, we all will be better off for it. According to the EPA, reducing these emissions will annually prevent 12,000 premature deaths, 8,900 hospitalizations and one million workdays lost by the year 2030. Our children and our children’s children will thank us. 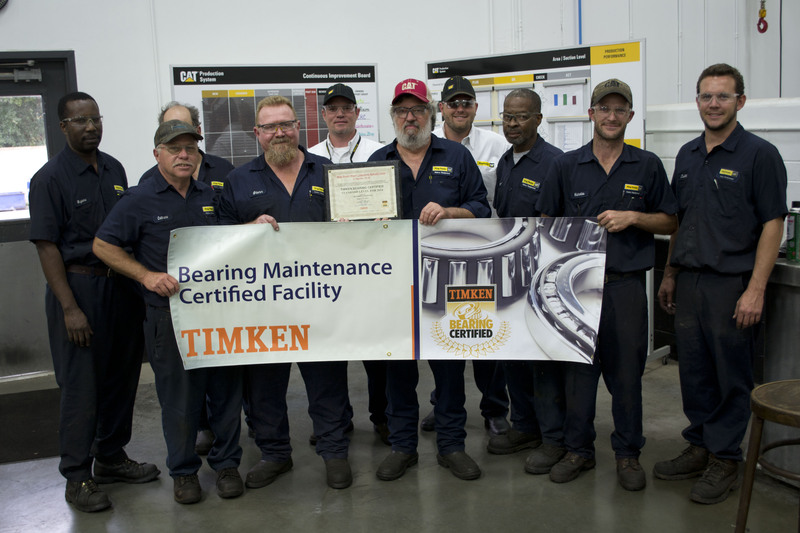 Ring Power’s Major Component Rebuild Center in St. Augustine, Fla., recently became “Timken Bearing Certified.” This designation was awarded after a rigorous evaluation by a Timken engineer documented the quality of processes and equipment in place to properly store, remove, install and maintain bearings. Timken Bearing Certification is only awarded to shops that adhere to the highest standards in bearing service. The Timken Certification is a specialized requirement from certain Department of Defense agencies, NASA and manufacturers who must adhere to the most critical tolerances and quality processes. Congratulations to the MCRC team on achieving this outstanding recognition. Ring Power's specialization shops in St. Augustine and Tampa offer more than 61,000 square feet of work area combined, and 23 Caterpillar® certified technicians working two full-time shifts on Engine, Transmission and Torque Converter Rebuilds; Power Train Component Rebuilds; and Engine Component Services. Ring Power Corporation has signed an agreement to represent Towmaster Trailers through its Heavy Equipment and Cat Rental Store divisions. Towmaster manufactures nine- to 20-ton Tag Trailers, 20- to 50-ton Tilt Trailers, and 70- to 120-ton Detachable Gooseneck Trailers, designed for hauling construction and rental equipment and built to withstand years of heavy use. Headquartered in Litchfield, Minn., Towmaster Inc. has been manufacturing trailers since the early 1970s and is well respected for the quality of their products. 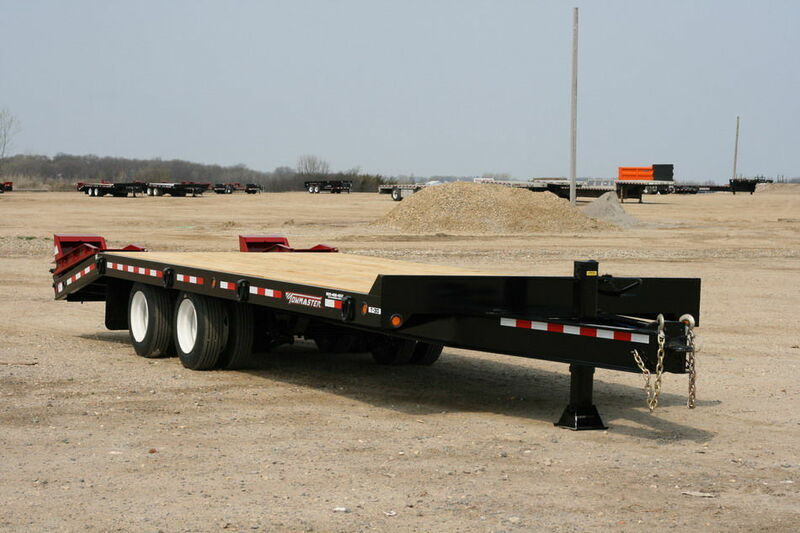 For more information on Towmaster trailers, click here.